Mac OS X is built on top of a strong UNIX foundation. Thereby it also inherits its multiuser capabilities. User separation allows us to have different system accounts for different users, making the system more secure by restricting access to system functions for particular users. If you want to launch a single UNIX (command line) application the sudo command is the way to go. It allows you to run a single command as root. Furthermore it also allows you to spawn a new root shell using the -s switch. Thus you to run several commands as root without having to type sudo all the time. It is also possible to enable the root account. After that you can use the Login Window to login as root. I would strongly recommend to not use this approach as it disables lots of security features. Sometimes you may want an application to always launch as root (or another user). This can be done by setting the POSIX suid bit. If set, this application will run as the POSIX owner independently of who launched it. A good usage example is the passwd command. Finally it is also possible to launch Mac OS applications as root. This can either be done by using the Terminal (by launching the binary located in “App Bundle.app/Contents/MacOS/” or by using my new tool MacSudoer. MacSudoer is a small droplet written in AppleScript that launches the dropped application as root. This can for example be used to allow OmniDiskSweeper to analyse the whole disk including all system folders. To install MacSudoer just download the application and drag it to your Dock. 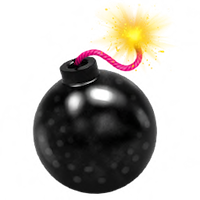 Now you can drop any application onto the bomb icon to launch it as root. For security reasons you have to enter your password before the dropped application is launched. Furthermore not all programs can or should be launched as root. A malfunction of such a privileged application can render your system unusable or delete your data. Therefore only launch trusted applications using MacSudoer. For me a good media archive has to have great preview support. Think about the following: You’re looking for footage in your archive for a current project but only find several similar tagged files. How do you know what you get? This is exactly the point where previews help a lot! Archiware PresStore Archive helps you as it automatically generates previews for some types of media – but it’s rather limited. To work around this limitation custom generators can be added. Yesterday I released “PresStore Media Converter”, a small toolkit based on FFmpeg, ImageMagick, Poppler and node.js to generate previews of hundreds of file types – including several raw file types. I’ve release it as open source under the GPL2 license. You can download it at Google Code. I have already posted about the great bindfs FUSE filesystem. In this special case we use it as a destination for Avid’s Media Composer. The problem with Avid is, that they use some fcntl calls that are not yet supported by fuse4x. This calls are used to preallocate storage. When you search around the Web you will find out that fcntl is based on ioctl – therefore it was clear for us to find a FUSE implementation that supports ioctl on Mac OS X. The only current solution is to use fuse4x and Anatol’s (the main developer) “private” kext repository. I built this version, updated bindfs but was still not able to get it working. After digging in even further, I found the corresponding kernel source file, where the F_PREALLOCATE attribute is handled. With this information I was able to update the fuse4x kext to “support” the VNOP_ALLOCATE VFS interface. With this patched kext Avid is able to consolidate on a FUSE volume. The sources and a binary packages is available to download at Google Code.